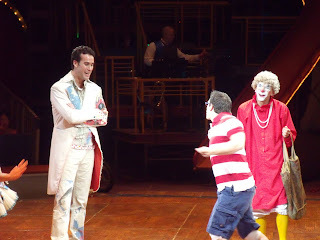 A Little Bit About The Big Apple Circus: Dance On! The spectacular Big Apple Circus leaps into its 33rd Season with a thrilling All-New Show, Dance On! The World’s Greatest Circus artists swing into action in the spotlight under our intimate Big Top, where no seat is more than 50 feet from the ring! Invited to the dance: an awesome troupe of monocyclists and lasso twirlers from China! A mind–bending group of Mongolian contortionists! A kinetic collection of Kenyan athletes who shimmy up a pole as though gravity were a joke! A herd of hoofers — twelve miniature horses in an equine chorus line! And an Ethiopian juggler with a lively up–tempo act that’s hard to beat! Your Host is our charming and charismatic Ringmaster Kevin Venardos, aided with antic abandon by star clowns Rob Torres and of course, our leggy, lovable laugh–riot Grandma! 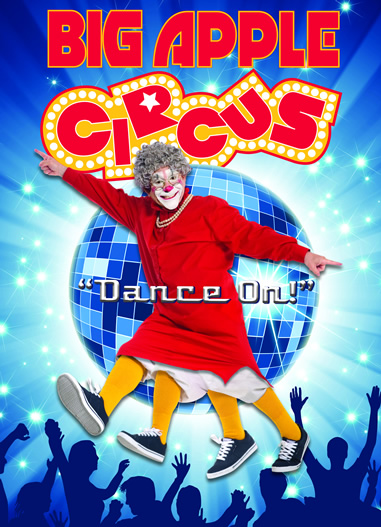 With live music by the Big Apple Circus Band, there’ll be cavorting in the aisles — and even you and your family will be dancing in your seats! We made our way to Cunningham Park, Queens, New York last night to catch the Big Apple Circus in their new show, Dance On! Set "Under The Big Top", I was immediately impressed with the seating. With every seat distanced no greater than 50 feet from the ring, it offered the perfect viewing experience for our little one's (no one had to lap sit or stand to catch the action). To every one's delight, the friendly performers also exited the ring frequently throughout the night to interact with the audience. Showcasing the talents of World renowned performers from around the Globe; the night was packed with phenomenal performances that left the little one's and adults alike laughing out loud, dazzled, and AMAZED! Pictured Above: "The Kenyan Boys"
Pictured Above: "X Bud Roses Troupe"
The Big Apple Circus' Dance On! is a compilation of truly unique talent and comedy, that is sure to win over the entire family, as it did ours! 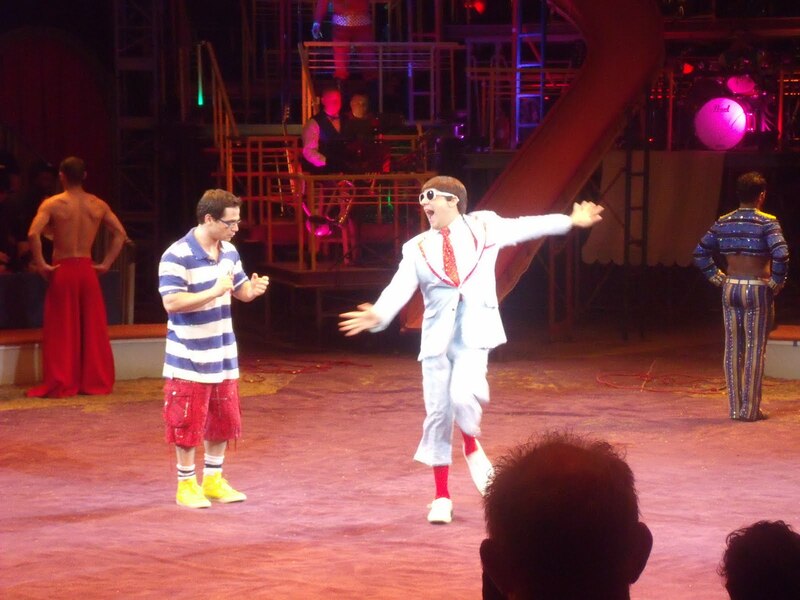 Above Video: The Big Apple Circus: Dance On! Big Apple Circus: Dance On! is in Cunningham Park, Queens, New York through June 5, 2011. 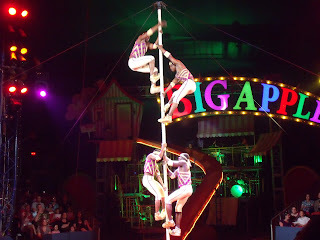 For additional information and to purchase tickets visit http://www.bigapplecircus.org/ . USE PROMO CODE: POP11 for a $15 discount (per ticket purchased). FUN! FUN! FUN! all going on under the BIG TOP!!! 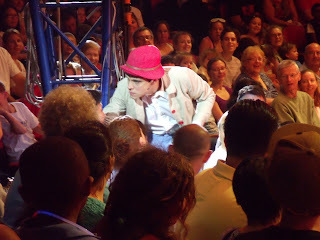 The circus is a AMAZING thing to watch not only for kids but for adults also!! !